With the current marketplace, there is a lot of opportunities for producers to precondition calves before moving them to the feedlot. 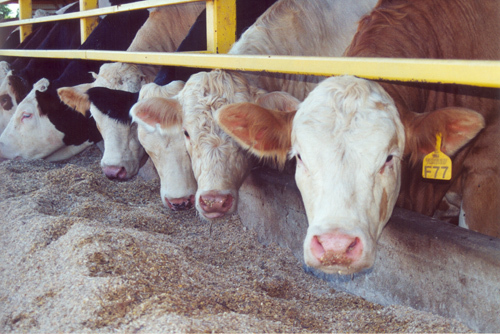 According to Extension Beef Veterinarian Dr. AJ Tarpoff though, producers need to have a strategy in place to make their preconditioning program successful. Dr. Tarpoff says producers will have a variety of health factors to consider during preconditioning including vaccines and preventative measures as possible controls for illnesses such as intestinal parasites, coccidia and worms. He recommends working with your local vet to help prioritize what health risks are important to pay attention to in your area, and which ones are not as threatening, to reduce health related stress in your herd. Producers should also bear in mind that successful preconditioning strategies are all about timing, according to Dr. Tarpoff. Listen to Dr. Tarpoff further explain his pointers for preconditioning strategies with Farm Director Ron Hays on today’s Beef Buzz.